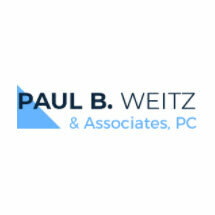 Paul B. Weitz & Associates, PC, is a highly regarded New York trial law firm representing clients injured by doctor's mistakes or in accidents caused by someone else's negligence. We are guided by our mission to serve the needs of our clients through diligent, determined and thorough legal counsel and advocacy. We also handle legal matters involving estate planning, securities law and immigration. Our law firm's legacy stretches back to the 1970s, and most of our lawyers have more than 20 years of experience in personal injury or medical malpractice law. Our results have included numerous multimillion-dollar verdicts and settlements for clients and their families injured due to birth injuries, misdiagnoses, delayed diagnoses or other forms of medical malpractice; in car accidents, truck accidents or other motor vehicle accidents; or in construction accidents, premises liability or other types of accidents. Our work has earned us a reputation as an intelligent, effective law firm that will not be outworked. Among us are lawyers who have been named Trial Lawyer of the Year, elected to membership in the lawyers' society Inner Circle of Advocates, and who have set records for the highest verdict in numerous jurisdictions. We also have attorneys who have been selected for inclusion in the peer-reviewed Super Lawyers listing for many years in a row, a recognition that just the 5 percent of lawyers in any given practice area can be awarded. We have also lectured extensively on the topics of medical malpractice, personal injury and trial litigation, and have authored numerous articles and publications about these topics. At Paul Weitz & Associates, we pay attention not only to the details of your case; we pay attention to the details of your life. We care about each individual client, not just the client's case. Ours is a law firm that is big enough to handle a highly complex personal injury or medical malpractice case, but small enough to care about who we represent. From our office in Manhattan's Woolworth Building, our law firm's attorneys represent clients throughout New York City's five boroughs, including the Bronx, Queens, Brooklyn and Staten Island; Long Island, Westchester and Orange County; and the surrounding New York areas. If you have a loved one who has been harmed by an accident that he or she had no part in causing, please call our law firm to discuss your legal rights and options with an attorney who cares — and an attorney who can help. All medical malpractice and personal injury consultations are free.